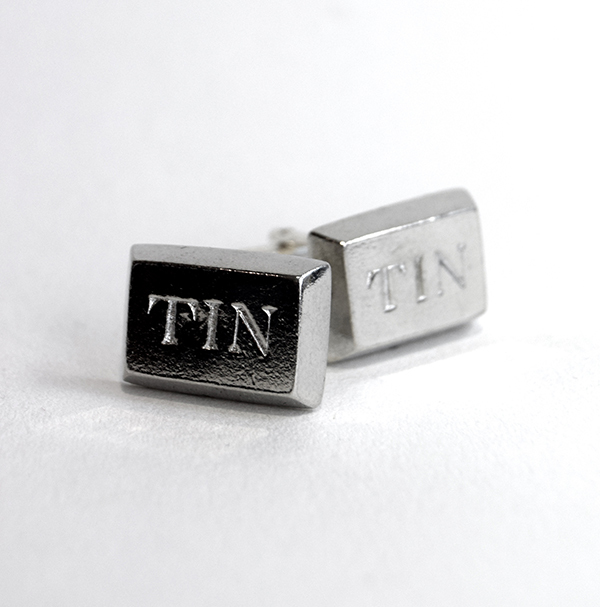 Cornish Tin cufflinks in the shape of Cornish Tin ingots. Polished to a high shine, hand cast and fettled making them completely individual. A perfect 10th anniversary gift for “him”! Packaged in a quality velvet lined gift box with authentication certificate.